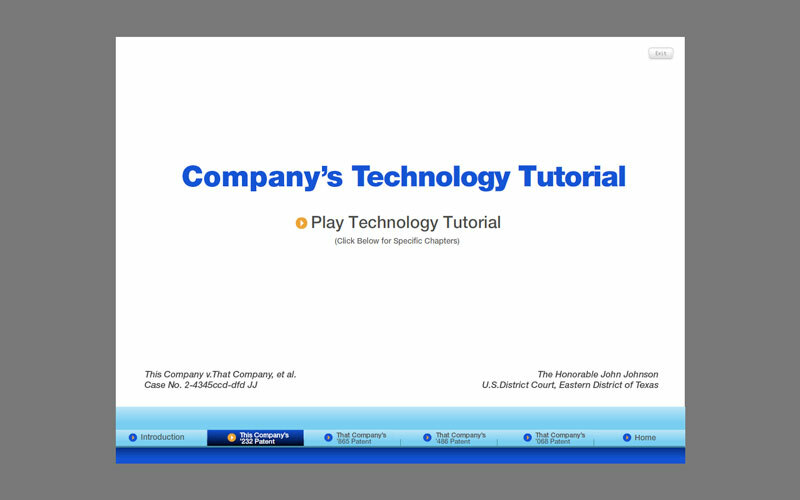 This home page for a technology tutorial shows the interface buttons at the bottom used for launching animations that are synced to voice over narration explaining the technology involved in a patent dispute. The real names have been removed for client confidentiality. Recent work includes animations used in the NH v Hess (Exxon Mobil) MTBE groundwater contamination case. A 3 month trial that ended with the jury returning a verdict within hours. The more than $200 Million fine is everything that the state was asking for and set a state record.